ZoneAlarm 2019 provides industry leading computer and Internet security software for home and small business computers and networks. Ensures the protection for your PC, your browser, and your data from viruses, spyware, phishing and other attacks with advanced computer security software products. The ZoneAlarm 2019 products include Antivirus protection, Spyware removal, Internet Firewall, Internet browser security, ID theft prevention, email virus scan and much more. ZoneAlarm Pro Antivirus and Firewall 2019 is the essential PC and internet security solution. 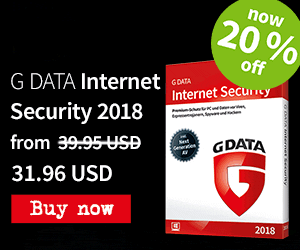 It combines the advanced real-time antivirus with two-way firewall plus Online Backup, Identity Protection, Browser Protection and Do Not Track modules. ZoneAlarm Extreme Security 2019 is the complete multi-device internet security package. The package includes the two-way firewall with best antivirus software, including zero-day attack prevention. Also provides the total protection for your PCs and Android devices. Defends your entire family with Parental Controls. Moreover, includes Find My Laptop, PC Tune-Up, Online Backup, Identity Protection Services, and more. Provides access to the up-to-date database of Antivirus signatures to protect against newly emerging threats. Real-Time Cloud Database contains up-to-date reputation of files, web resources and software. That enhance traditional Antivirus + Firewall protection. Checks files against Real-time Cloud database. Ensures that even the latest threats are not missed. Contains the latest Antivirus signatures, web resources and software. Also ensures up-to-date protection. Stops Internet attacks at the front door and even catches thieves on their way out. The two-way firewall proactively protects against inbound and outbound attacks. Also it makes you invisible to hackers. No product is 100% effective against viruses or spyware. ZoneAlarm’s advanced firewall monitors behaviors within your computer to spot and stop even the most sophisticated new attacks. That bypass traditional antivirus and security suites. OSFirewall Monitors programs for suspicious behavior. Spotting and stopping new attacks that bypass traditional anti-virus protection. Advanced-access Protection targets and defeats new, advanced attacks that other firewalls miss. Such as raw data access, timing, and SCM and COM attacks. Zero-hour Protection prevents silent outbreaks from gaining system access. Application Control uniquely shields your operating system during start-up. Early Boot Protection uniquely shields your operating system during start-up. Inspect. Analyzes the email attachments and web downloads in MS Office, Adobe PDF and Zip formats to see if they are safe or malicious based on known threats. Emulate. Suspicious files are uploaded to the cloud and opened in a virtual sandbox to check for abnormal behavior typical of malware. Prevent. If a file is determined to be malicious, you are alerted to delete it before it can infect your PC. Share. The Threat Emulation cloud database is updated with the new signatures preventing others from being infected. Keeps your PC running smoothly – automatically cleaning, organizing and streamlining your computer so it runs faster. Registry Repair and Defragmentation optimizes your registry. Moreover they remove unused and redundant entries that make your computer operate more slowly. Disc Defragmentation optimizes the time it takes to retrieve and create files. That makes everyday computer operation faster, and in some cases freeing disk space. Temporary File Cleaner cleans out temporary and redundant files on your computer to free up disk space and reduce clutter. Low Resource Use is a system-maintenance program. That is so light on resources, you’ll hardly know it’s running. DefenseNet provides real-time security updates. Also responds quickly to breaking threats and leverages threat data from millions of users. That protect your PC from the latest attacks. Erases your cache and all, cookies, history and passwords. That let you browse the Web in complete privacy. Do Not Track. Blocks data-collecting companies from tracking you online. Control who receives your private data. Blocks companies from collecting your personal information online. Controls who can follow you as you surf the Internet. Increases your Internet browsing speed. Locates your lost or stolen laptop using Wi-Fi enabled location tracking which uses Google Maps and ZoneAlarm technology. Laptop Locate. Finds and displays the location of your missing laptop on a worldwide map including the address. Remote Lock. Remotely locks your laptop to prevent intruders from accessing your data. Message to Finder. Sends a custom message to the finder for a quick return of your missing laptop. File Recovery. Remotely retrieves and backsup important files from your missing laptop. Deletes sensitive information remotely. Webcam Snapshot. Takes a snap picture of any person using your laptop. Daily Credit Monitoring and Fraud Alerts include daily credit reports with email alerts. You’ll be notified of any changes in your credit reports. Victim Recovery Service provides free telephone counseling to guide identity-theft victims through resolution and recovery. Automated Backups schedule the backup of data at your convenience. Includes optional automatic shutdown of your computer when backup is complete. Efficient Backups effectively utilize your Internet bandwidth as the data files are compressed during transmission. Furthermore, only the modified portions of your files are backed up – speeding up the process. User-defined Encryption Keys secure your files as they are uploaded and downloaded. All stored data is encrypted with a secure key and a password known only to you. That protects your data from hackers. Use COMODO Firewall Free. This one is crap..
What's new in this release ?